“In less than three years, he was able to disciple a group of men, most of whom no one else would have chosen, and taught them to DO and to BE like him in such a way that, when released, they would change the course of human history forever.” (Kindle Locations 168-169). Recognizing what Jesus did through discipling the apostles is inspiring, but it can also be intimidating. After all, how do we take a handful of average people and change the world through them? That would be difficult enough even if we were given twenty years to mold these people into the type of people who could transform the world. But Jesus did that in less than three years. How did he produce this change without overburdening them or burning out his disciples? I am particularly interested in this question. I minister to college students, so I only have a few years with the average student. And I usually only see a student for seven or eight months out of the year. So how can I disciple them in that limited time so that their lives can make a difference, not just when they are in their thirties or forties, but in the few years that they are college students? And how am I to effect this type of change without stressing the students to a breaking point? The Fall Semester and Spring Semester feels like a sprint in campus ministry. It is rough for ministers and support staff, but it is also rough on student leaders. Discipling leaders is difficult in the best circumstances, but I find it especially difficult in campus ministry. We start the semester in a sprint, then after a week or two of recovery, the students are being overwhelmed with exams and papers as they enter the middle of the semester. It’s difficult just to get through the first few weeks of the semester, much less disciple people who could have a tremendous impact on the world. Breen anticipates these concerns, and he thinks he understands how Jesus was able to challenge his disciples so much without exhausting or discouraging them. He locates Jesus’s effectiveness in his mix of “invitation and challenge in the way he related to them.” (Kindle Locations 174-175). 16 Simon Peter answered, “You are the Messiah, the Son of the living God. In this famous passage, Jesus invites Peter into a deeper relationship with him, even giving him the keys of the Kingdom. But a few verses later he challenges Peter to accept what Jesus had really been called to do. Here we see Jesus using a mixture of invitation and challenge to disciple Peter. Jesus invited Peter to a deeper role in the Kingdom and a deeper relationship with him. But he later challenged Peter to accept fully the implications of who Jesus was and what his mission was. ”Invitation is about being invited into a relationship where you have access to a person’s life and all the vibrancy, safety, love and encouragement that reside there. To learn from the places you clearly see Jesus at work in people’s lives, which you can see only by having access to them. But by accepting that invitation, you also accept the challenge that comes with it: The challenge to live into your identity as a son or daughter of the King.” (Kindle Locations 194-198). “A gifted discipler is someone who invites people into a covenantal relationship with him or her, but challenges that person to live into his or her true identity in very direct yet graceful ways. Without both dynamics working together, you will not see people grow into the people God has created them to be.” (Kindle Locations 201-203). Breen uses this understanding of the invitation-challenge mixture to examine our average church practices. Usually, the average person listening to a challenging sermon does not have a close relationship with the preacher. So, though there might be challenges issued through the preaching, the challenges do not occur with an invitation in the context of a personal relationship. Small groups have the other problem. They have high invitation, but small groups usually aim at a low challenge environment to make the group less threatening and more welcoming to outsiders. So, though churches tend to rely on small groups and sermons groups to make disciples, they are poor vehicles for disciplemaking. “If we have churches with warm, cozy, comfortable, inviting environments, someone is paying the price to make sure that happens. That means for all of the invitation that is offered to a large portion of the people in a church, there is another group that is shouldering all of the expectations and challenge of producing that kind of atmosphere: Church leaders. Pastors. Staff. Elders. Deacons. Board members. Volunteers. Whatever your church has. Usually 15–20% of the people are doing almost all of the work. Because of that, their experience is extremely high on the challenge side of things but very low on invitation. What space is there for these people to receive encouragement, rest, downtime and investment? Every week has to be bigger and better than the last! So these people are constantly discouraged, frustrated and stressed. Burnout is normal. There is a high degree of turnover.” (Kindle Locations 222-228). This lengthy quote is one of the most insightful passages in the book. Most of our churches are set up so that 80% of the people receive high invitation and low challenge. Again, we just need to think of the average attendee at churches. They attend the sermons and the worship, and many of them attend small groups, but these are church events that primarily focus on the invitation side. There is usually little challenge directed at these people to really imitate the life of Jesus. But with 80% of the people receiving low challenge and high invitation, we have 20% of the people receiving high challenge and low invitation. These are the leaders and servants of the church. They do a lot of work, but no one is trying to invest in them. It is their job to do things to help the 80% grow closer to God. Few of the 20% ever get discipled by someone else. Small wonder that our churches produce so many consumer Christians and burnt out and discouraged church leaders. I have noticed this in my ministry. My ministry has struggled to move people from consumers to leaders. Yet I’ve been so concerned about getting people to attend our ministry events that I have not wanted to increase the challenge and scare people away. And our leaders, who always work hard for our ministry, end up burning out on leadership. If Breen is right, the root problem is that I have not modulated invitation and challenge in the same way Jesus did. I need to find ways to challenge the 80%, the consumers to follow the ways of Christ, while inviting my leaders into deeper relationships with me. Nearly every minister I know complains about the people in their ministry being mere consumers. A lot of effort has been spent on trying to find ways to engage the mere consumers. But, for Breen, disciplemaking is the way to move people from the “client/provider relationship” to the “empowered/discipling” relationships that we see Jesus creating. But this has to be through an intentional approach to making disciple. And, if you are not intentional about making disciples, you will struggle to make disciples. As Breen says, “No one accidentally creates disciples. Discipleship is an intentional pursuit.” (Kindle Location 233). 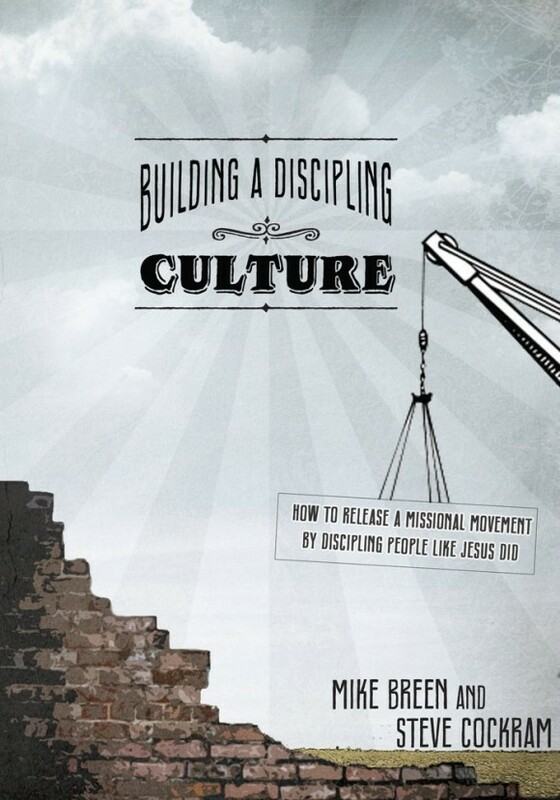 “Put simply, building a culture of discipleship is the only way that you will produce the kind of community that Jesus and the New Testament writers would recognize as church.” (Kindle Locations 243-244). I’m trying to communicate via email to Mr. Breen or 1 of his colleagues. Can you assist me with this request. Then I will send my message via email. I have read Mr. Breen’s book & am starting to read again–very interested. Thank you for you help in making this happen.